Dr. Hannah Gelman received her PhD in physics from the University of Illinois. She is a postdoc in Genome Sciences at the UW and at the Puget Sound VA, researching the use of personalized medicine in the VA health system. Hannah enjoys evangelizing for Google Drive, cooking, and walking her retired racing greyhound Lady Wallace all over Seattle. 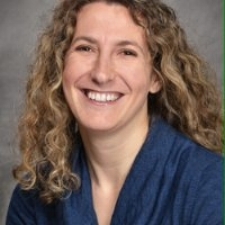 Dr. Jodie G Katon holds a MS in Epidemiology from the University of California Los Angeles, and a PhD in Epidemiology from the University of Washington. She conducts epidemiology and health services research regarding reproductive health in vulnerable and minority populations. She has successfully competed for numerous grants and fellowships, and presented her research at national conferences and cyberseminars. Dr. Sarah Myhre is a scientist and public advocate for human rights, as well as a grass-roots organizer, writer, and consultant. She is a national leader in climate science communication, and an unapologetic advocate for women in leadership. Indeed, she is a very difficult woman, with a dream of building a society lead by other difficult, passionate, and caring women. Dr. Laura Osburn is a qualitative researcher with expertise in the use of storytelling for decision-making. With a PhD in Communication, Laura currently works as a research scientist at the Center for Education and Research in Construction studying how building teams collaborate with data. She also owns a research consultancy, which is currently developing training for building teams. Dr. Kate Richerson is an interdisciplinary marine scientist, with research interests including the ecology of Antarctic euphausiids, fisheries biology, and marine economics. She received her PhD in Ecology and Evolutionary Biology from UC Santa Cruz in 2015, and is currently a postdoc in Seattle working on West Coast fisheries issues. Dr. Jeanna Wheeler completed her PhD in Genetics at the University of Washington, and is a specialist in behavioral neuroscience. She currently works for SIBCR, where she uses both C. elegans and mouse models to study neurodegenerative diseases such as Alzheimer's and ALS. When she's not in the lab, she enjoys studying contemporary dance and teaching fitness classes. Emily J Myers is a PhD student in Pharmacology at the University of Washington. Her graduate work focuses on developing proteomic tools to study the brain and neurodegenerative disorders. Emily is public advocate for science- and evidence-based policy, and is passionate about equity and inclusion in STEM. Her other passions include Pure Barre and her dog, Panini. Heather Currey is a research technician and lab manager at the Seattle Institute for Biological and Clinical Research. Her work focuses on using model organisms and biochemical assays to understand neurodegenerative diseases including ALS and FTLD. When not in the lab, Heather is a big nerd facilitating RPGs for Girl Scouts, reading intersectional comics and working on cosplay.